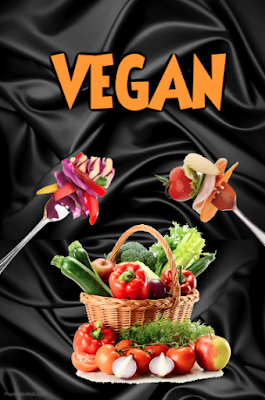 What did i eat when I was cooked vegan? I asked the organic store to deliver a box of organic fruits and vegetables every week so that I can prepare organic meals and eat only vegetables and fruits. The only food items i removed from my diet (as sentient vegetarian for 29 years) was milk and honey. There is this silent fear lurking in my mind (everyone's mind) of having a heart operation. One weekend, i was invited to a vegan event where they showed us a film of a doctor operating on a patient. In that film, the arteries were clogged with solidified fat. I did not think fat can really be solid inside the artery like that - so that magnified my fear of disease. I reasoned that for me to get to a point where i will not have the same condition, I need to get my health to another level and being a cooked vegan could lead me to that level of health. So, after that day, i decided to be vegan. I had the idea that i will have better chances of not getting heart disease by being vegan. Me being a cooked vegan lasted for just a short time. I was in Australia then and when I was invited by my mom to the US for a vacation, I had a chance to see people who are raw vegan. I went to a raw vegan restaurant and ate their version of ice cream and brownie. 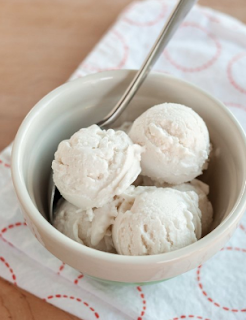 The ice cream was made from raw cashews and agave nectar plus irish moss. The brownies were made from walnuts, dates and cacao powder. That was really tasty. So, i decided to be raw vegan. I reasoned that I will be able to eat the same foods I eat and taste tasty meals except milk & honey so I can do this diet. I watched the youtube videos of raw vegans daily. I saw them as healthy and happy individuals based from my mind perception of what a happy and healthy individual looks like. This is an inaccurate assessment though as this is subjective from person to person. Real happiness is about expressing to our utmost potential and enjoying ones expression - as who one really is, as part of the whole - that is life - where all benefits. Real health is not about absence of disease within fear of disease, where we are imposing on the body rather than working with the body - realizing that we are the breath in the body. It includes working with the disease to learn more about ones body and mind - to expand ones expression, which can open doors for oneself and for those walking their own health journey which includes the physical, mental and social aspects - where all benefits. What did I eat when i was raw vegan? I ate raw dehydrated crackers with fresh vegetables & fruits dressed with a raw dressing, kelp noodles with raw vegetables dressed with fresh fruit juices and agave nectar. I dehydrated the crackers myself and prepared the raw vegan meals. I learned recipes mostly from watching youtube videos of raw vegans. I found the raw vegan dishes I made and ate, tasty and easy to prepare. 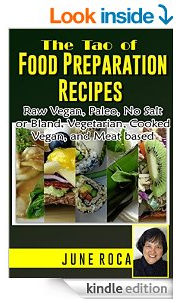 I made my own menu of raw vegan dishes that I made available to a handful of people who ordered them and even gave raw vegan cooking classes.